Shop, Drop and Roll in San Francisco or Santa Monica, California, Seattle, Washington or Chicago, Illinois for Four Days & Three Nights at a Fairmont Hotel with Economy Class Air for Two, Including a $1,000 Shopping Spree at Your Choice of Nordstrom, Bloomingdale's, Macy's or Tiffany & Co.
Shop until you drop with a $1,000 gift card — you deserve a little bit (or a lot!) of retail therapy! Splurge on your favorite brands and styles in one of these four fashionable cities: San Francisco or Santa Monica, California, Seattle, Washington or Chicago, Illinois. From jeans to jewels, you'll be dressed to the nines with Nordstrom's trendy collections, Bloomingdale's exclusive merchandise, Tiffany's mesmerizing masterpieces and Macy's hottest designers and classic accessories! 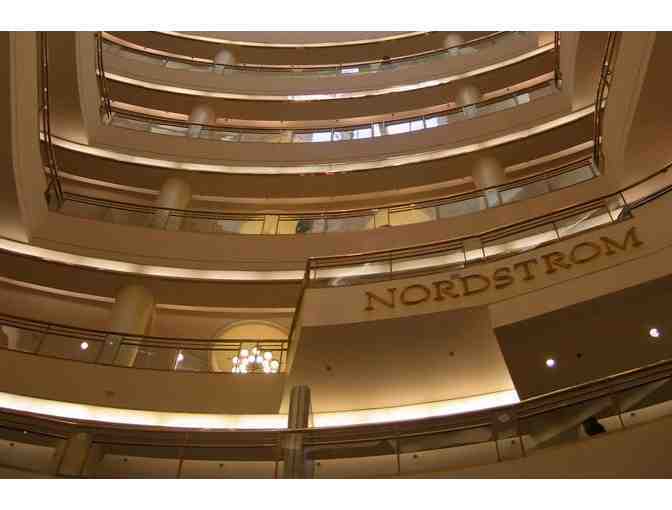 Known for being one of America's leading fashion specialty retailers, Nordstrom delivers a warm, fun, diverse, and rich shopping experience. Their stores always showcase the latest collections allowing you to step out in statement style, and offer a wide range of prices to fit every budget. Shop for your favorite designers' pieces, including Jason Wu, True Religion, Chanel, L.A. M.B., 3.1 Phillip Lim, Burberry, and Rag and Bone, just to name a few! Bloomingdale's is committed to the legacy of leading the way in fashion with chic styles, customized services, and alternative shopping venues, so get ready to shop, shop, shop! Macy's is where you can luxuriate in your favorite brands, designers' masterpieces, the hottest trends, and classic accessories. Prepare to be dazzled in Tiffany & Co., whose masterpieces have defined style and celebrated the world's great love stories since 1837. Boasting extraordinary jewelry and ground-breaking designs, Tiffany & Co. has become an American institution over the past 175 years. Regardless of which city in which you choose to shop 'til you drop, you can relax knowing that Fairmont will take care of all your needs. The Fairmont San Francisco is ideally located just minutes from Nordstrom on Market Street, as well as many other options for world-class shopping at Union Square. Santa Monica's iconic downtown area and the Third Street Promenade are less than a mile from the exquisite elegance of the Fairmont Miramar. The historic and iconic Fairmont Olympic in Seattle is down the street and around the corner from these trendsetting stores, and you can find the luxury of Chicago's Fairmont a few blocks from premier shopping. Travel package is non-refundable and subject to availability. Certificates/gift cards cannot be replaced. Airport taxes and carrier imposed fees are the responsibility of the passenger. Flights may not be upgraded with miles. A minimum 30 day advance reservation is required. Package originates from the Contiguous U.S. Travel is valid for 12 months from date of issue. Participating properties may be subject to change without notice. Hotel selection may be made at time of booking. San Francisco blackout dates: Jan 6-10, Feb 4-8, May 22-24, June 6-8, Sep 18-22, Oct 2-7, Dec 31. Bloomingdale's option not available in Seattle, Washington.